These sets are perfect for teachers, family, hostess gifts, house warming gifts and birthdays. 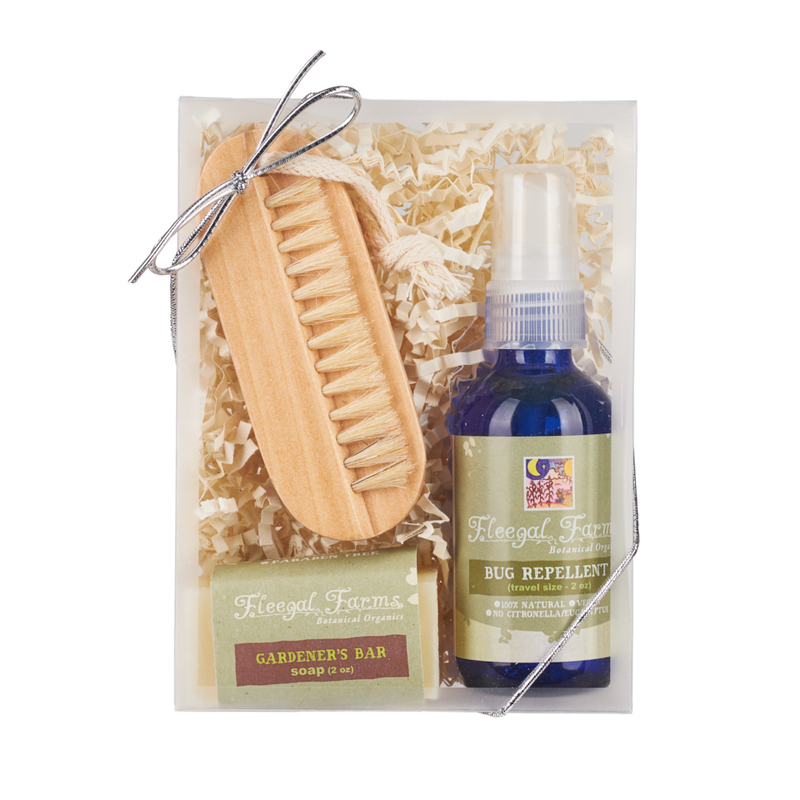 This set includes a travel size Bug Repellent, a wooden nail scrub brush and a Gardener's Bar mini soap. This loved bug spray really works and the exfoliating soap gets rid of any dirty left behind from the scrub brush. A great gift for the green thumb in your life.